Phenomenal book! Full of brilliant brave, strong women! It’s Charlie’s Angels as if written by Mary Shelley! I can’t use enough exclamation points! 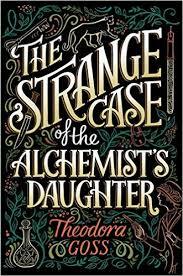 The Strange Case of the Alchemist’s Daughter includes all of the gothic horror of Moreau, Hyde/Jekyll, Holmes and Watson, Dracula and Van Helsing. I didn’t think it was possible to put all of my favorite things in one story but Goss did it. The story begins with Mary Jekyll, who has just buried her mother and is orphaned and broke and desperate for a way to make money. She’s also very interested in the secrets of her father’s shadowy past…one clue leads her to believe that if she could locate her father’s former friend, Edward Hyde, there is a reward for his capture and this could solve some of her urgent money troubles. But her hunt leads her to Hyde’s daughter, Diana, a wild, untamed and hilarious young girl suddenly shoved into Mary’s care. 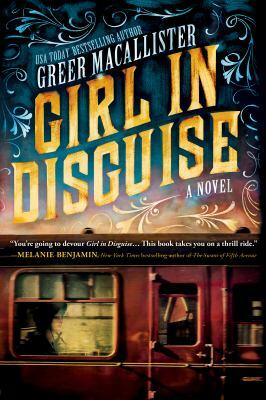 With the help of Sherlock Holmes and Dr. Watson, Mary becomes involved in a spectacular adventure and mystery and befriends more remarkable women, all of whom have been created through frightening experiments. The women uncover a secret society of wicked scientists and they band together to fight the forces of evil and take back their identities. It’s such a fun read, I highly recommend reading it as I did with the windows open and rain falling outside, crisp fall air and a large ginger cat at your feet. Or another colored cat, doesn’t have to be a ginger. Or a dog. Whatever your preference. But it’s the perfect book to curl up with during the autumn season. This entry was posted in Reviews and tagged Detectives, Heather, Science Fiction, Secret Societies on September 30, 2017 by heatherlee.